It's a shame that Alex hasn't updated this in a long time. In fact, not since it was first released as first released, which is a real shame. My coding just isn't good enough to take it on sadly. It could have made for some interesting stuff in the same way that some of the Clie's could both use sampled sounds and GM (general MIDI using their own inbuilt chips). 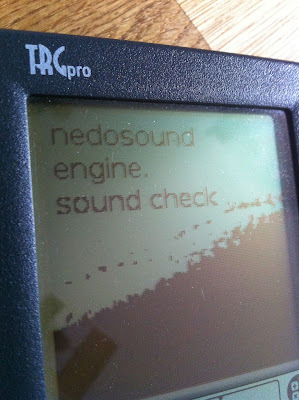 It would be really cool if a TRG Pro or Palm IIIx could use it's own internal sound using nedosound. That would be awesome. Maybe one day it'll get updated.